The 2011 Mazda 2 is 50 lb (23 kg) lighter because of the extended use of high-tensile-strength steel in the body structure. 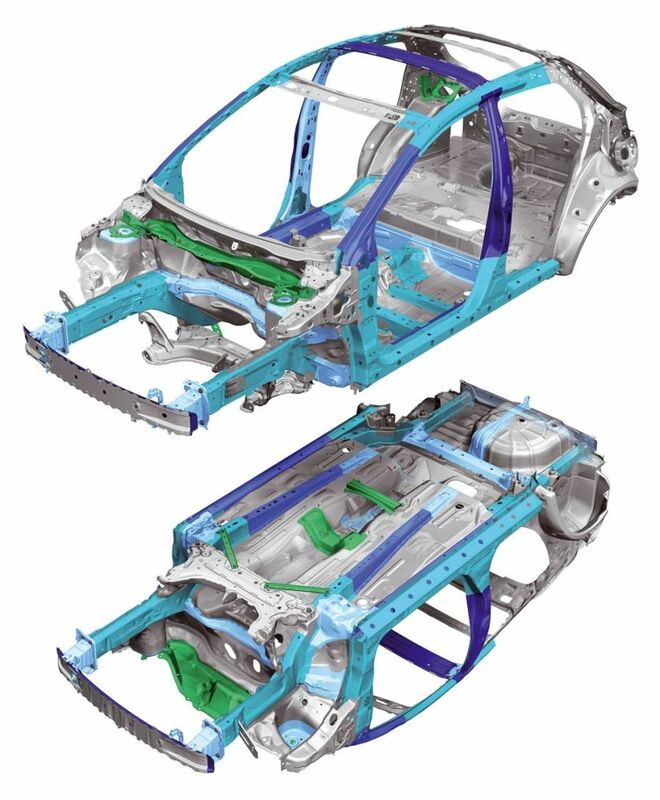 The crash-critical of areas of the structure have the highest strength steel for side impact protection. Over half of the body structure weight is a grade of high-strength steel. Weight was also reduced by using a structural bonding adhesive for high stress areas like door openings and the rear. A heat-activated structural adhesive was used between the panels and the spot weld it would activate the adhesive and create a continuous bond. Finding an adhesive between sheet metal is nothing new. The important thing to remember is on the 2011 Mazda 2 is the number of spot welds used was increased. The spot welds activate the adhesive. More welds can help and hurt you during an extrication. Just make sure you are looking at the big picture and planning your next spreads and cuts before you start the first.